We both want to say a huge thank you once again for selling our Moody 54 for us. Your professionalism and patience were outstanding. Having owned many boats over the years we can say without doubt that John Rodriguez Yachts provided a first class brokerage service with standards of excellence rarely found within the industry. We have no hesitation in recommending John to other boat owners either buying or selling and wish him well for the future. 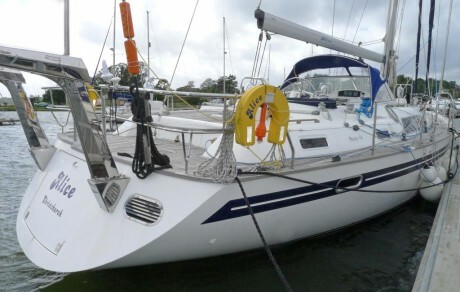 Now that the dust has settled, Maria and I just wanted to say thank you so much for your determination, good humour and efforts to help us buy the Moody 54 and exchange our Dufour 455. We all went through the mill a few times on this deal but I genuinely don’t believe we would have got through the whole transaction without your help. We were very happy with everything you did for us and would have no hesitation in recommending you to anyone looking to sell their boat.